Mizushima receives high acclaim from key figures and celebrities around the world such as Susan Rockefeller. And he is expanding his work to international areas, mainly in various fashion-related fields such as advertising, fashion magazines, collections, and stage design, and is actively involved in creating publicity photos in Shanghai. Mizushima has experience in beauty consultant, branding advice, product and package design, poster and catalog design produce, store display, lecture and PR for cosmetic and cosmetic companies both domestic and international. Mizushima is also involved in branding advise, poster and catalog design produce, store display, fashion show produce, fashion event produce and PR for fashion brand companies both domestic and international. Mizushima was the event producer for the CYBEX (Germany) launch event, which was held at the Cite Du Temps Ginza hall, Nicolas G. Hayek Center, Tokyo. After that, Mizushima did as the global branding advisor requested by the head office in 2017. Mizushima gave a lecture about beauty and life as a guest for an event at the Tokyo Fuji Art Museum in 2016. Mizushima has appeared in various media, inviting Tetsuko Kuroyanagi for a special talk as a guest star in Iki-Iki magazine in 2015 and appearing as a guest on Fumiaki Miyamoto’s FM radio program Music Bird in 2014. He established the MIZUSHIMA OFFICE in 2013. Mizushima studied under Yusuke Suga, working as his assistant in Japan. Mr. Suga was a famous hairdresser of the time, working on Vogue covers in the US with photographer Richard Avedon. Mizushima’s first regular work in hair and makeup was on Tetsuko Kuroyanagi’s television program, which he started with Mr. Suga’s referral. Mizushima started his work in the US at the age of 31, where he worked at Mr. Suga’s Suga Salon in New York. After returning to Japan, Mizushima provided hair and makeup designs for Keita Asari of director of the Shiki Theatre Company for productions of “Crazy for You,” “Aspects of Love,” “Prelude to a Kiss,” and the Shiki Theatre Company’s original production of “Ri Koran.” He also participated in the KENZO collection of Kenzo Takada in Japan as a makeup artist. Mizushima also provided makeup designs for the Takarazuka Revue’s production of “Parfum de Paris,” which used costumes designed by Kenzo Takada. Worked with well-known Paris makeup artist Thibault Vabre as a hair artist at Lancome at a photo shoot for a beauty magazine. Participated as a hair and makeup artist for Estee Lauder during a photo shoot for the campaign model Carolyn Murphy. Provided hair and makeup as the chief artist in Japan at each season of the “Hubert de Givenchy,” “John Galliano,” and “Alexander McQueen” Givenchy collections and collaborated with Alexander McQueen for his Japan collections. Worked as a hair and makeup artist with the Etro family on the 40th anniversary ETRO collection. Provided makeup with Korean artists for fashion magazines such as Vogue, Harper’s Bazaar, ELLE, madame FIGARO, and Marie Claire. NEW A charity at Sailors for the Sea Blue Seafood Guide Charity Reception which was founded by David Rockefeller Jr. as President of Rockefeller Foundation, 2018. A lecture at Tokyo Fuji Art Museum, 2016. Interview for creators’ message column on Atloco Yokohama web magazine, 2015. 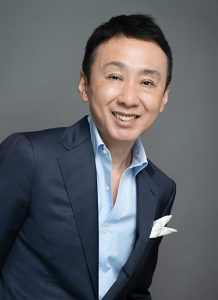 Special talk session with Tetsuko Kuroyanagi on Iki-Iki Magazine, 2015. Guest Starring as a guest on Fumiaki Miyamoto’s radio program Music Bird, 2014. Interview and column for the web of Bell Commons (fashion building), 2014.